A statute passed by California lawmakers in 2010 to stem labor abuses abroad has been of meager help in policing tech giant Apple, a group that studies labor abuses in China claims. 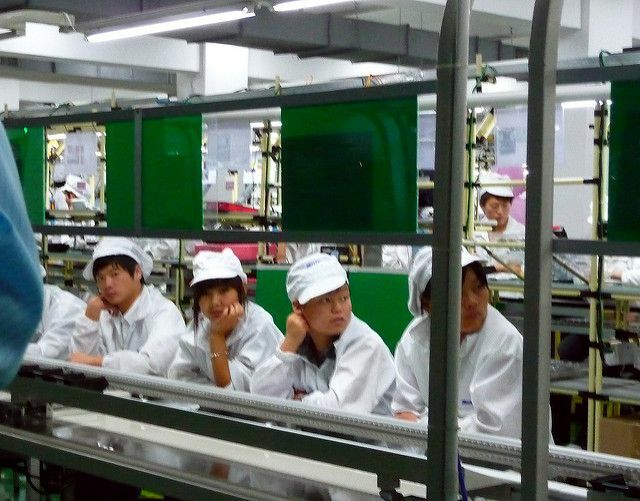 It’s the seventh report to allege worker abuses by Apple’s Chinese suppliers from New York-based China Labor Watch since 2012. But the act doesn’t mandate action to address shortfalls in the supply chain. The disclosures are the only requirement, although they have led to lawsuits filed by citizens who allege companies have filed misleading or false disclosures, using California’s liberal laws regarding consumer rights. The measure is responsible for several current investigations of companies based on the disclosure required by the supply chains act, state Department of Justice spokeswoman Kristin Ford said. She declined to comment on Apple’s performance with regard to the act. Apple, founded and based in Cupertino, Calif., since 1976, has complied with the reporting requirement. In its latest filing in March, Apple said it has a “robust auditing process which has expanded deep into the supply chain over the past ten years. This statement reflects our progress … to combat and prevent human trafficking, slavery, servitude, and forced, compulsory, or involuntary labor in our supply chain.” Apple, though, changed its primary supplier for the iPhone in 2013, handing the deal to Pegatron. Since then, Pegatron has handled other technology for Apple. Last year, according to its annual corporate report, Pegatron worked on Apple CarPlay, which delivers information from an iPhone to a vehicle’s display panel. Despite Schwarzenegger’s declaration that consumers will “make more choices” with information gleaned from the supply chain act, Apple this year ranked as the world’s most valuable brand for the sixth consecutive year in Forbes magazine’s annual study. Apple’s $154 billion worth is 87 percent higher than that of second place Google, according to the magazine. Apple’s press office did not return a call. China Labor Watch said that Apple’s favor among consumers has allowed it to skate on its alleged violations in China.